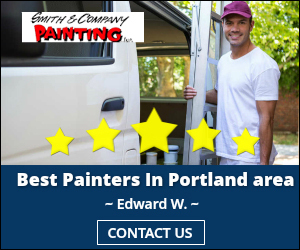 Smith & Company Painting has been painting interiors, exteriors and waterproofing building facades on Apartment Buildings and Hotels from McMinnville to Portland, Oregon. With over 50 years of experience, we know how to make your property look fabulous. We’ve got you covered with all your exterior requirements. From lamp posts, light fixtures, windows to painting stucco, wood and Masonry. We can apply specialty waterproofing sealers to brick and other cementitious exteriors. Your lobby is your calling card. We will work with you to find a color scheme that looks great and makes people comfortable. When our contractors paint lobbies, they give their full attention and expertise to make them beautiful. Food service areas need surface treatments that look great and will last in damp and hot conditions. We are experts in painting and staining kitchens and bars. We can also add a decorative touch that turns your hospitality areas into showplaces. We work with a variety of surface treatments especially suited for commercial kitchens such as heat resistant paint and anti-bacterial concrete coatings. Give us a call and ask us what products work best for your commercial kitchen. 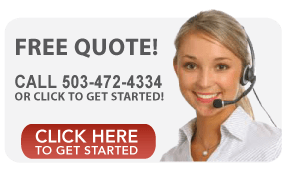 We have painted apartments from McMinnville to Portland Oregon. We will work with residents, employees and property managers to coordinate schedules when we paint apartment bedrooms, kitchens, baths, and cabinets. Yes, we paint swimming pool areas! We offer light reflective and mold resistant paint. We’ll help you coordinate colors and create a look that you and your guests will love. The walls and floors of exercise areas get a major workout every day. Locker rooms and workout areas can benefit from mold resistant paints and non-skid concrete floor coatings. We work with a large selection of custom paint and wood stains ideal for meeting rooms, walls, and ceilings. When redesigning we can remove and apply wallpaper coverings. We’d be happy to show you our portfolio of previous work we’ve done in the McMinnville to Portland areas. Oregon, Or , McMinnville, Portland, Newberg, Lake Oswego, Tigard, Dundee, Carlton, Wilsonville, Four Corners, West Linn, Beaverton, Salem, Keizer, Sherwood, ,Tualatin, Yamhill, Amity, Dayton, Dallas.